Balancing training, stress, and recovery is essential for achieving optimal performance. The performance of professional athletes can be severely compromised by overtraining, injuries, prolonged periods of competition, or even life events outside their sporting lives. The current recovery-stress state depends on preceding stress and recovery activities, but through simultaneous assessment of stress and recovery, a differentiated picture can be provided. This manual includes two measurement instruments to gauge individual recovery, enabling both athletes and coaches to better understand the often-unconscious processes that impinge upon peak performance, and to monitor the physical, mental, emotional, mental, and overall recovery-stress state before and after training. The Acute Recovery and Stress Scale (ARSS) and the Short Recovery and Stress Scale (SRSS) are instruments that systematically enlighten the recovery-stress states of athletes. Through utilization of the ARSS and the SRSS, athletes and coaches can better understand the importance of daily activities, including how they can relate to stress/recovery and the direct impact on athletic performance. In addition to the instruments themselves, both of which are simple and easy to use, the manual also discusses their development, their basis in theory, and case studies showcasing their usage. 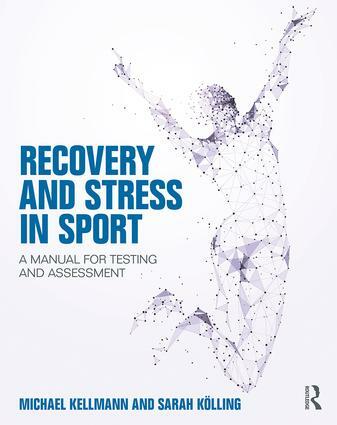 The ARSS and the SRSS provide important information regarding the current recovery-stress state during the process of training, and are essential tools for coaches, sport scientists, sport psychologists, and athletes alike.